by Susan. 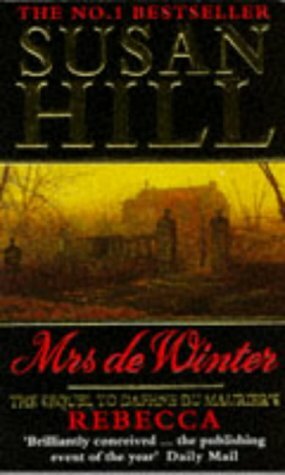 Hill | Mystery & Thrillers | This book has not been rated. Thrilled to find a Susan Hill book in a charity shop in Highcliffe today. Rebecca was Daphne Du Maurier's most famous and best loved novel. Countless readers wondered what happened next? Out of the fire-wracked ruins of Manderley, would love and renewal rise phoenix-like from the ashes of the embittered past? This is a 'bonus' book to accompany the original Rebecca by Daphne du Maurier. I enjoyed it just as much and hope you do too, Wal-89.